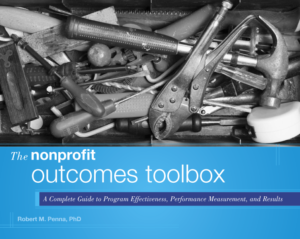 The Nonprofit Outcomes Toolbox – By Robert M. Penna, Ph.D. Welcome to the Outcomes Toolbox, your home for the best of ideas and solutions for applying results-based approaches to your work and that of your organization. The concept of “outcomes” in the work of nonprofits is here to stay. If you have come to these pages, you are probably looking for answers, guidance, and help in using those ideas and tools in the work of your organization. Maybe you are new to the idea of outcomes. Maybe those providing your resources have demanded outcome information, and you do not know where to start. Maybe you have tried to work with outcomes before, but did not have success. Perhaps you are confused by the different outcomes models available and do not know how they compare or whether they can work with one another. These pages are designed to help meet those needs. The Nonprofit Outcomes Toolbox was selected as the winner of the Association of Fundraising Professionals/Skystone Partners Research Prize! Here we will answer your questions about outcomes and how to use them, suggest approaches you might consider, point you to additional information in our companion volume, The Nonprofit Outcomes Toolbox, give you an opportunity to join the debate on outcomes and their use, link you to others in the outcomes community, and offer you the opportunity to contact us directly for additional assistance on applying outcomes and improving your organization’s performance and effectiveness. We invite you to explore these pages, and use the information here and in the book to help you and your organization move toward higher performance, better results, and greater gains for those we exist to serve. 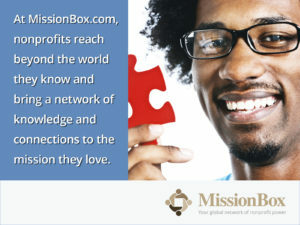 We support MissionBox.com, a global network of nonprofit power. 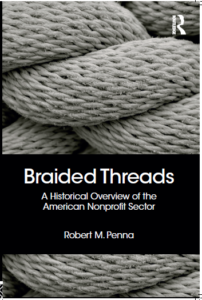 For a history of the American nonprofit sector, check out Robert Penna’s new book Braided Threads: A Historical Overview of the American Nonprofit Sector .